You finally made up your mind to become a freelance writer and you can’t wait for the money to start pouring in. 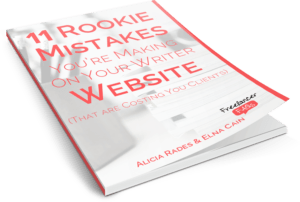 Learn how to avoid most mistakes new freelance writers make. And let’s face it – you need the money badly. So you want to avoid most mistakes new freelance writers make. And that’s why you’re looking for essential basics to put in place, for you to make money quickly, as a new freelance writer. Well, look no further because you’re in the right place. Now that you’ve made up your mind to become a freelance writer, you have to treat your freelance writing as a business. And as a business owner, you need an email address for effective communication. For a new freelance writer that wants to hit the ground running, using a free email service provider – like MailChimp – to start with is okay even though it’s not the best option. Since the email is meant for business purposes, avoid using nicknames and numbers. Using your business name or type of service you provide. Having an email signature helps to project a professional image for your business. It provides information on various ways you can be reached and should not be more than a few lines. Your email signature can include your name, your work title, your headshot, phone number, link to your website or portfolio, link to social media profiles, etc. To make money quickly as a new freelance writer, you need a gravatar. A gravatar is a globally recognized avatar that enables you to have your picture associated with an email address so that when you comment on blogs, your picture is displayed. Having a gravatar increases your visibility online. This makes people to recognize you and take you seriously. It can also help you build a brand and authority online quickly. Signing up for a gravatar is free and easy. As a new freelance writer looking for quick success, you need to be active on social media. While you might have been on social media before now with personal accounts but hey, you’re now a business owner. So you need social media accounts for your new business, separate from personal accounts that connect you with friends and family members. Though you might be tempted to sign up on all the major networks e.g. Facebook, Twitter, LinkedIn, Instagram, Pinterest, etc it’s not really necessary. Instead, why not start with just one or two? You can always add more later if need be. On which social media can your ideal clients be found? Which social media are you most comfortable with? Your niche is your area of specialization in terms of topics you write about or the industry you write for. You can also specialize in the kind of writing services you provide e.g. blog post writing, article writing, eBook writing, case study writing, etc. You can charge a higher rate. You can identify and target your ideal clients easily. You’ll spend less time doing research. You’ll be able to write more content at a faster rate. Your hobbies, interests, and passion. Your past and current work experience. To make money quickly as a new freelance writer, consider having one to three areas of specialization to start with. And as you gain more experience, you can change things around. While it’s possible for you to land clients using general samples of your writing, your chances improve drastically when you have samples relevant to your niche. This shows you can write on that topic or write for that industry or provide that particular writing service, which gives you an advantage over other writers without such samples. To make money quickly as a new freelance writer, consider creating at least three niche relevant samples for each niche. Your author bio is a few sentences that introduce you to your readers. It helps you create awareness for your business and also attract potential clients. Why you’re qualified to help. You can also add a call to action in your author bio e.g. follow me on social media, check out my portfolio or website, read more of my content, etc. Always try to keep your author bio short. An online portfolio can be described as a window online where your writing samples are displayed for easy viewing. One of the best ways to display your portfolio online is on your writer website. 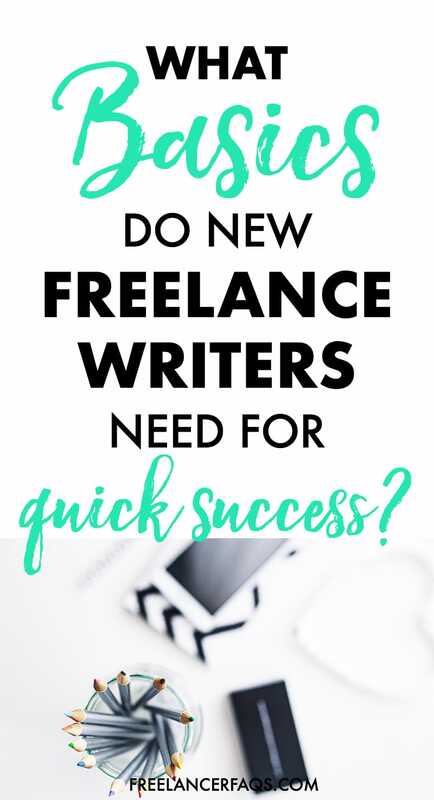 But to make money quickly as a new freelance writer, you can start with some other options instead. Pinterest: Pinterest is a visual-driven social media platform that’s also a huge search engine. It works like an online bulletin board. To display your portfolio on Pinterest, put all your samples on one board created for that purpose and name the board as your portfolio. Due to the nature of Pinterest, it’s important to use beautiful pictures and images. Having your portfolio on Pinterest makes it possible for it to be shared easily and to get more eyes on it quickly. A guest post is a piece of writing that you publish on another person’s blog or website. Guest posts can be paid or unpaid. Where unpaid, the writer is usually compensated with an author bio at the end of the article. You’ll create awareness for your freelance writing business. You’ll be able to showcase your expertise in your niche. You’ll increase the number of your published samples and build your portfolio. Niche blogs: These are blogs in your niche. Publishing on this type of blog help confirms that you are knowledgeable about that niche. Popular blogs: These are blogs that have high traffic and a large audience. Publishing on this type of blog help create more awareness for your business and in addition, get more eyes on your content. Blogs that your ideal clients read: These are blogs that have your ideal clients as their target audience. Publishing on this type of blog brings your content to the attention of potential clients and increases your chances of being hired. With these nine basics in place, you’ve become a credible freelance writer. This will boost your confidence, making it easier and less scary for you to take action to find clients. And before you know it, you’ll be juggling more than enough clients as well as smiling all the way to the bank. Now, let’s hear from you. Do you have these basics in place as a new freelance writer? Please share with us below. How Can I Use Pinterest to Build My Personal Brand as a Freelancer? Does a Freelance Writer Really Need to Be on Social Media? Sola Kehinde is a freelance content writer for hire with 10+ years of corporate business management experience. She helps businesses of all sizes to create blog posts, case studies, guides, tutorials and eBooks that attract and retain customers. When she’s not writing, you’ll find her window shopping, drinking green tea, watching movies or curled up with a good book.